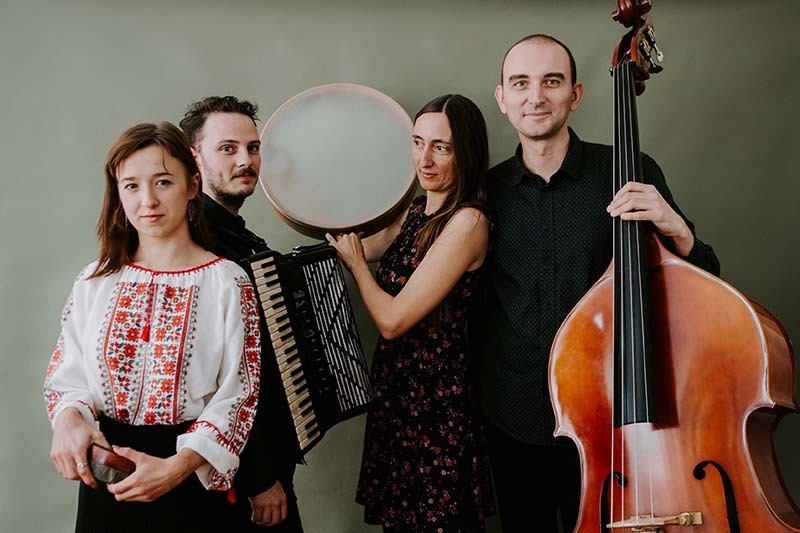 Cardak play the haunting Sevdah music of Bosnia and Hercegovina: an urban tradition that unites the hearts of a resilient and passionate people. Revealing the beauty of the Balkan cultural soul are smooth slow-paced Bosnian sevdah love songs, rare and beautiful unaccompanied a capella singing, fast dances with syncopated rhythms …and high-energy dance music that has been echoing around the Balkans for centuries. The intrinsically beautiful traditional urban Sevdah music and songs of Bosnia and Hercegovina are played in the café bars of Sarajevo. Also called the Bosnian blues, it has been compared to Sufi kafis and ghazals of love and yearning. Learn the urban traditional songs of Bosnia and Hercegovina with Čardak.